Last modified on March 14th, 2017 by Vincy. In this tutorial, let us see how we can implement authentication using a standard login form with session handling. Most of the website will have login script to provide user authentication. I will present you an example PHP code to implement authentication using a login script. With authentication, we can protect our website by filtering genuine users. There are different ways to implement authentication and the most popular way is to using the login form and authenticate based on a username and respective password. Recently authentication using dynamically generated OTP is also becoming a norm and we will see about it in a coming tutorial. In this tutorial, we are storing authentication credentials in a database. We will show a login form to enter login credentials. We compare the entered data against the user database. If match found, then the user is considered as authenticated. We use PHP session to preserve the logged-in state of the authenticated users. In previous tutorials, we have already seen about login via form submit and also via AJAX call. We let the user submit their login credentials on a form and compare it with the user’s database. If a match is found, then we authenticate the user and store their logged in status by using the $_SESSION “super global”. For example, $_SESSION[“member_id”], $_SESSION[“display_name”]. This logged-in status will be preserved until the user logout. Once the user clicked the logout link, we clear his session by using PHP unset(). First, we need to create login interface to allow the user to submit authentication information. It shows the username and password input fields in a form. On submitting this form, we post the values to PHP. The HTML and CSS code is as follows. We can add this code on the same page above the HTML content or we can save it as an individual PHP file like login.php and add it to form action. The “welcome message” will be displayed with the logged in user by their name and a link to logout to clear user login session. Thanks for sharing , it helped me a lot in my little project. what kind of error do you have.? can you pls share the sql file with download. Hi swapnil, hope you are doing great.The sql file below might be of help to you, i exported it using phpMyAdmin. You can copy it and save it as an sql file using any software (notepad, notepad++,Dreamweaver) any that you feel comfortable with and then import it in phpMyAdmin and then play with vincy’s scripts. Have fun. Swapnil remember i changed the name of the database to login_script. Keep in touch if you need more help. Hi, the page is not redirect to dashboard.php? So did we ever find out why the page does not redirect to the dashboard? I am having the same issue. hi,,,tnx alot…but still i have a problem in connecting into the database,,,the message INVALID will always pomp up…how can you advice me? Replace host,username and password specified for mysql_connect(), with your server config. Love the tutorial, I have a problem though. When I click submit it takes me to the User Dashboard but it is a blank page that just says ‘User Dashboard’ at the top. this article very useful for me.. Thank you so much.Am always expecting your new update. What is happening when you logout. You receive any error? This is because of query failure. Before executing this query, ensure that you have users table with respective columns in database, as specified in code. Vincy thanks for the sharing, it was really helpful. keep it up. This tutorial helped me alot . I would now like to know how do we display the name of the user logged in by hiding the login or signup button and they should reappear when the used loggs out. I have gone through many sites but could not understand. Would u plz write a code that would help me? Make sure, you have stored logged in user name into a session variable while login. you can avoid this error notice. This tutorial is just to explain login to storing user credentials into session. Validation to avoid SQL injection. We can log repeated invalid login attempts to stop anonymous by IP address. and etc. to avoid the security risks. But it will enlarge the code and loose the focus on topic. Security is more important and let us have separate tutorials to learn how to safeguard from security risk. Thank you for raising this point. is it possible to use isset instead of count ?? thanks again. I want ask 1 question..how to select multiple table from single database to login..?example table group1,group2 and group3.so what php code for this?. thx it was nicely xplained.but im having a problem with logout. Thanks, cool stuff keep it up! Nice article for beginners like me. Pretty ideas, The guide saved me out. Oh,Thx alot. This is one of the best place to learn about web designing especially php and mysql. 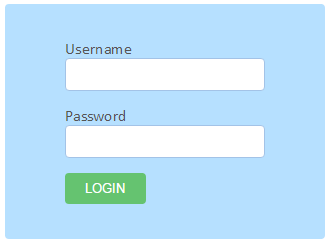 This is one of the best blog for developing login form using script. thanks vincy. Thanks for sharing the wonderful made code. Hi, I’m Vincy, PHP developer. If you have a project that you want to get started, launch quickly, contact me. I'm currently available for freelance work. "She is cooperative and able to quickly understand our needs behind different features. We kept the estimated budget and fit within the assumed timeline. ..."
Looking for an expert PHP freelancer? Do you want to develop a modern, lightweight, responsive web application and launch quickly?